Here you see our Judi Dench Lookalike. 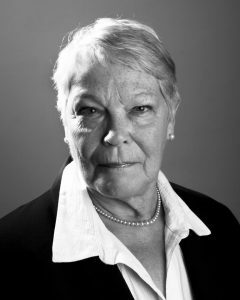 Dame Judi Dench, in her role as “M”, was the only cast member carried through from the Brosnan films to appear in Casino Royale (2006), Martin Campbell’s reboot of the James Bond film series, starring Daniel Craig in his debut performance as the fictional MI6 agent. The thriller received largely positive critical response, with reviewers highlighting Craig’s performance and the reinvention of the character of Bond. It earned over US$594 million worldwide, ranking it among the highest-grossing James Bond films ever released. Book this Judi Dench Lookalike for your next celebration. You can book Judi Dench alone ore with other Bond Actors, like Daniel Craig, Pierce Brosnan, Sean Connery, Blofeld, Jaws ore Oddjob. The major of work is for corporate parties, but we also supply the lookalike for photo-shoots for PR agencies, advertising, television, documentaries, reality shows, filming or doubling for the real stars.